is a data file that contains recommended nuclear data. The Nuclear Data Center (NDC) of Japan Atomic Energy Agency (JAEA) is making the Japanese Evaluated Nuclear Data Library, JENDL, with the aid of Japanese Nuclear Data Committee (JNDC). was released as the first version (JENDL-1) in 1977. The latest version is JENDL-4.0 released in 2010 which contains neutron-induced reaction data for 406 nuclides, in the neutron energy range from 10-5 eV to 20 MeV. Such data files as JENDL-4.0, which provide the data for various application fields, are called "general purpose files". They contain various kinds of data in the wide energy range. We are making also JENDL special purpose files which contains only the data needed in their application field. What Are Nuclear Data ? Atomic energy research and development are intended to harness the energy contained in atomic nuclei. Neutrons induce many kind of nuclear reaction in a nuclear reactor, a device that utilizes the energy of nuclear fission or fusion. The nuclear reactions that neutrons have with uranium and plutonium in fission reactors determaine the operational characteristics of these reactors. 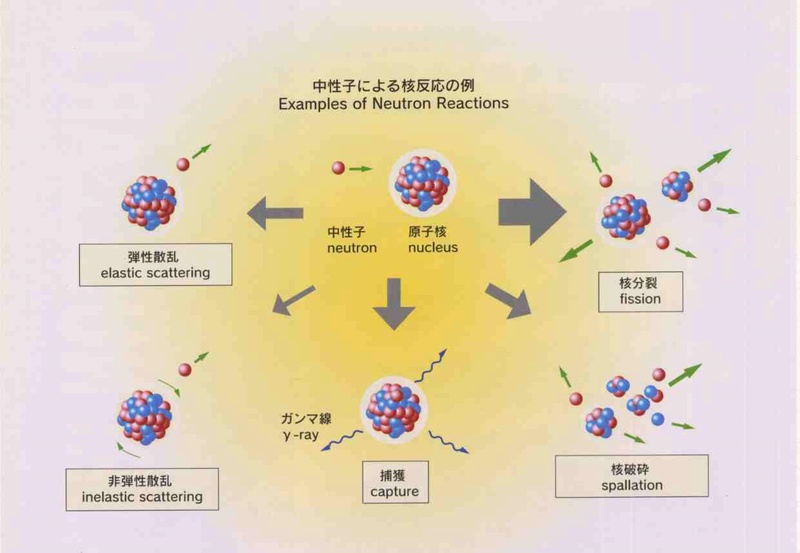 The probabilities for these nuclear reaction are called "nuclear data".Nuclear reactions are also caused by protons, alpha-particles, etc. Nuclear data of these reaction are important for many engineering fileds. Nuclear data include the data of radiations	emitted from radioactive isotopes and nuclear structure data about nucler excited states. Nuclear engineering and other fields need sets of continuous nuclear data for whole energy regions, Nuclear data are obtained basically from measurements. However, experimental data are sometimes discrepant or incomplete, because of the experimental complexity. 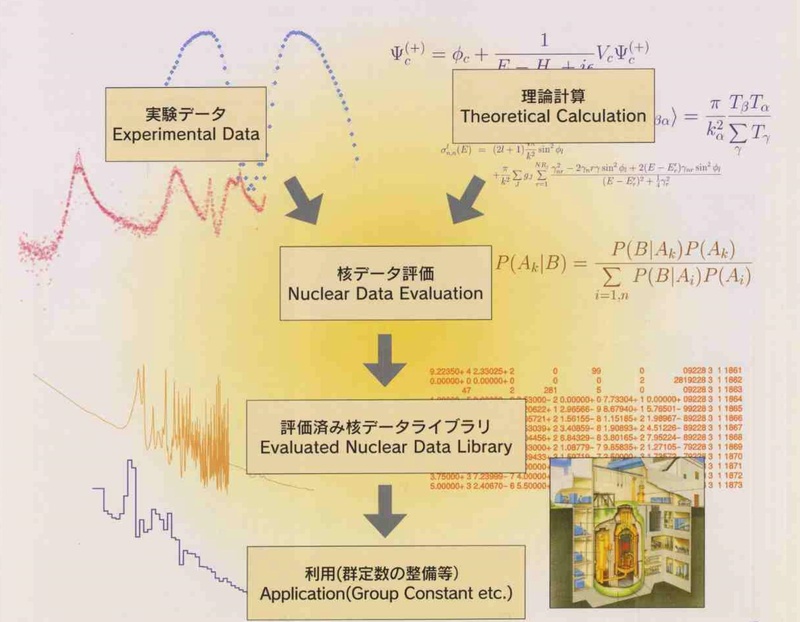 "Nuclear data evaluation" provides the most probable data set by the use of experimental data, statistics, theoretical calculation, etc. Evaluated nucler data are compiled to computer data sets having specific formats. These data sets are called "evaluated nuclear data libraries ( or files)". The evaluated nuclear data are processed according to the requirements of users. 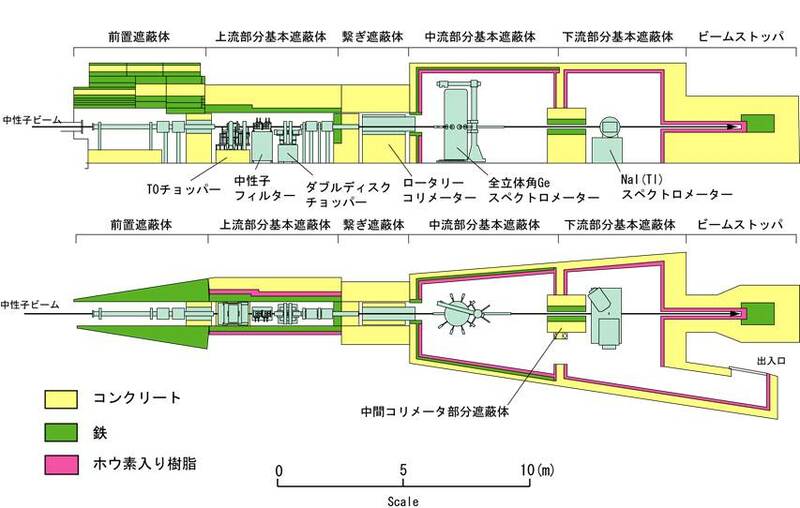 For example, in nuclear reactor design. the data are averaged in certain energy intervals and are compiled as "group constants". The aim of our group is to study nuclear structure and reaction and to provide nuclear data needed for design work of innovative reactors. In addition, our advanced techniques for detecting gamma-rays are applied to trace element analysis. Neutron capture cross sections of MA (Minor Actinide) and LLFP (Long Lived Fission Product) nuclides are quite important for design work of innovative reactors. Many of the neutron capture data are, however, not accurate enough. In order to measure those nuclear data accurately, some advanced techniques are required. Studies are carried out at neutron beam facilities, such as MLF/J-PARC.